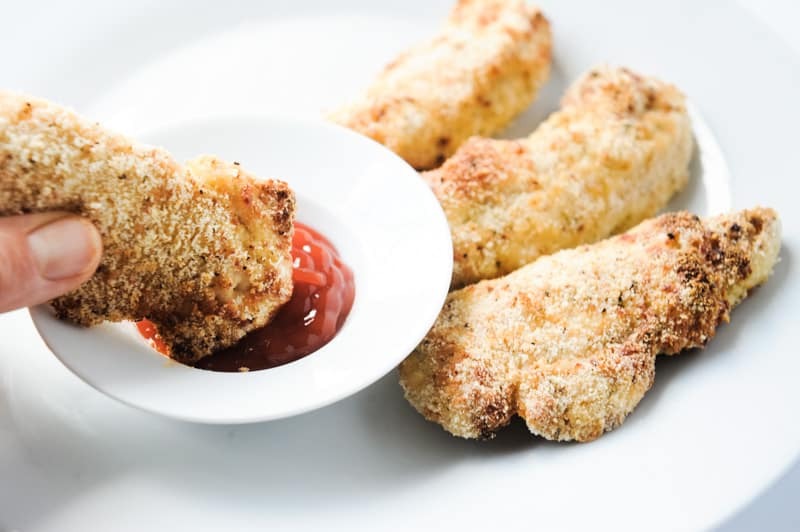 Air Fried chicken tenders for an easy weeknight meal! An air fryer has been on my wishlist for awhile now. When I’m trying to create healthy dinners that are easy, I’m always looking for tricks or tools that will make it easier. I figured one of the first things I would try in the air fryer was a kid-friendly healthy recipe. It can be so easy to use frozen chicken tenders and while I do rely on convenience foods from time to time, I think finding a homemade healthy chicken tender recipe is sometimes an option. This recipe is also a keto-friendly air fryer recipe! 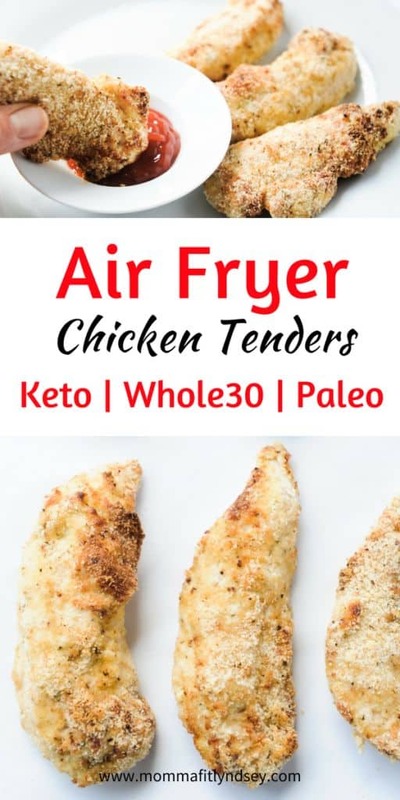 Whether you’re eating keto, paleo, Whole30 or a similar nutrition plan, these air fryer chicken tenders will be a healthy family favorite. 49 Easy Weeknight Dinners that are Healthy! I’m a huge believer that if you are going to succeed on a healthy lifestyle change, it needs to be doable. You need to have eating plans that are flexible and make eating healthy easy. I wanted the air fryer to be able to make healthy comfort foods like chicken tenders. 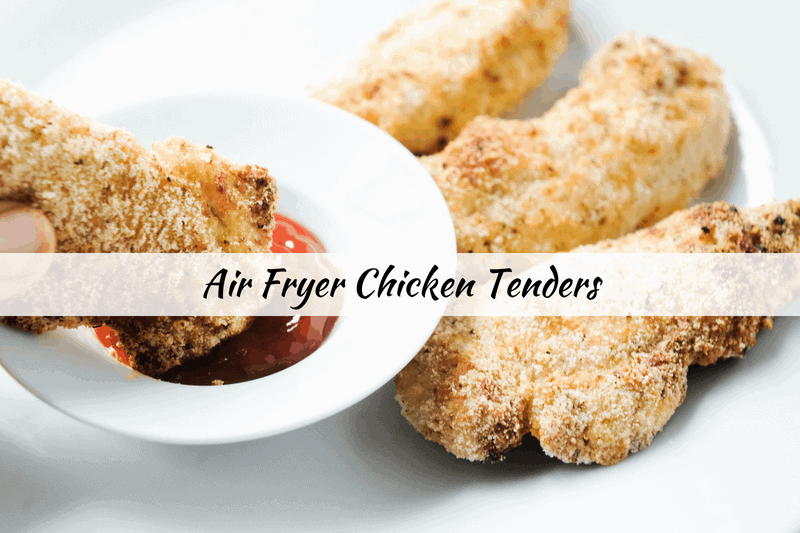 You can make air fryer chicken tenders in a few easy steps with a few simple ingredients. I buy the pre-cut chicken tenders to make things easier. Salt & pepper your chicken tenders. A simple egg wash and dip in coconut or almond flour and set aside on a plate. Place chicken tenderloins into the basket of the air fryer. Cook for approximately 12 minutes or until a thermometer inserted into the center reads 165 degrees. I know when I became a mom I wanted to feed my girls healthy food! But they are SO picky so I had to be creative and keep trying over and over! Getting kids to eat healthy is not for the faint of heart! 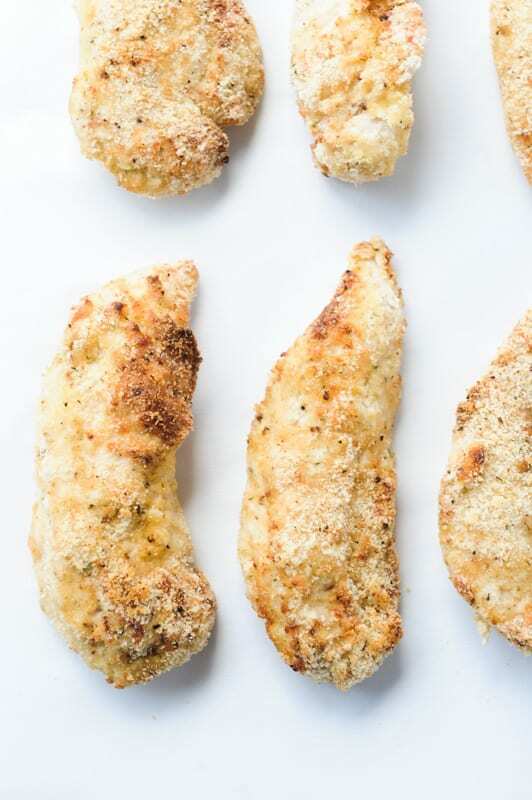 But you can start with simple swaps like frozen chicken tenders to air fryer ones to reduce the amount of ingredients in kid food! Another tip for getting kiddos to eat healthy food would be to disguise healthy food! Example – butternut squash “fries” in the air fryer. My girls LOVE veggie fries because they have no clue it’s actually good for them! Does the air fryer really work? Yes! It’s insane how easy the Air Fryer works. Literally you can set it and forget it. I loved how moist the chicken tenders were compared to oven baked. Yes! Since you are not immersing your food in oil and deep frying it, you are cutting down on a lot of unhealthy additives and non healthy fats. Eating healthy is a lot easier when the food actually tastes good and you don’t feel like you are missing out on something! Is the air fryer worth the money? It depends on which air fryer you choose and how often you use it. There are some kitchen tools that I only use on occasion so I don’t purchase the most expensive model. However, if you are looking to use your air fryer quite frequently you may want to invest in a more expensive model. The best and top rated air fryers! This air fryer comparison chart will help you to choose the air fryer that will work best for you! Have you tried an air fryer yet? What are your favorite things to make? Tell me in the comments! Season tenders with salt & pepper. Dip chicken tenders into flour, then egg, then flour again. Place chicken into air fryer basket. Cook at 350 degrees for approximately 10 minutes or until cooked through. I’m wondering if you think this turns out better with coconut flour or almond flour. I happen to have both on hand. I like coconut flour better (just a taste preference) but almond would also be great! Every air fryer will cook differently but I would definitely recommend a single layer for cooking. Followed recipe but my breading fell apart. Is there a way to prevent this? did it fall apart in the air fryer or before? When i took them out. they may have had too much of the breading on making them too heavy. Maybe try using a little less next time. Mine turned out a little to floury and dry.. but still edible! Will try to coat them less next time. I pounded a chicken breast to make it thinner and then cut strips. So 350 for 10 min might have been too much since they were thinner..
yep if they are thinner you will want to cut down the cooking time to maintain moisture.